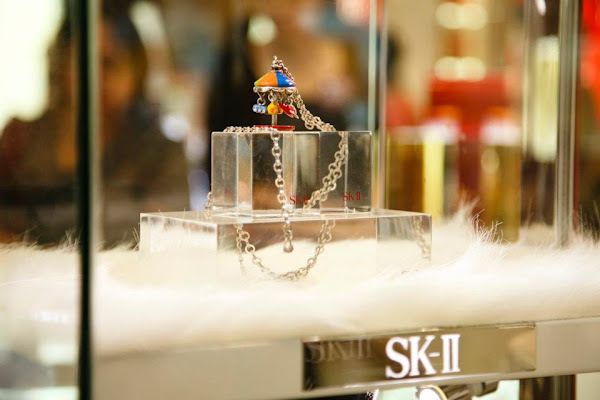 Back in December, SK-II celebrated Christmas by holding the 'Live the Life You Love' Campaign and Charity Auction from December 1st to 26th. This event was inspired by the miracles of the 're-birth' of ladies' skin when they use the Facial Treatment Essence. 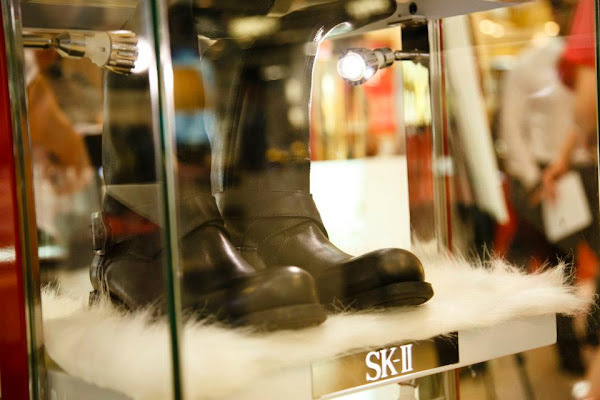 The charity auction featured 8 exquisite items, donated by celebrities, and was collaborated with World Vision Singapore. 80% of the proceeds will be used in raising the awareness of the water crisis in Asia among Singapore students. The other 20% will be going to the children and communities in Asia who are in dire need of safe drinking water. 1. Hi Kym! You're one of Singapore top-notch actress/ host and in spite of your busy schedule, you always take time out to participate in charity projects. Could you share with us some of your experiences, difficulties and rewarding parts of these experiences? I've always supported charity work, and over the years, I have been involved in performances for “The President’s Star Charity”, “The Cancer Charity Show” and “Ren Ci Charity Show” in a bid to raise funds for the needy.I definitely believe strongly in furthering the work of charitable organizations. I hope that through my humble effort, I am able help and hopefully, encourage more people to also lend their hand for the less fortunate, regardless of the extent of one's contribution. 2. Could you share with us your thoughts on the water crisis in Asia? I think this is a very pressing issues in Asia given the recent natural disasters that have hit quite close to home, like the earthquakes in Japan for example. Water is a very basic need and in Singapore, we have such easy access to water with just a simple turn of the tap. In reality, there are many countries who are not as fortunate as us. In poor communities, the water issue actually affects women most as they are the ones who bear the bulk of the burden in transporting water. 3. What do you feel about SK-II's Clear for Life Project in helping women in need connect to a source of clean drinking water? I feel that it is a very noble and honourable cause. Many of us take water for granted because it is so readily available and easily accessible in Singapore. But while we have it easy, there are just as many out there in poor endemic areas who lack access to this basic necessity. 4. 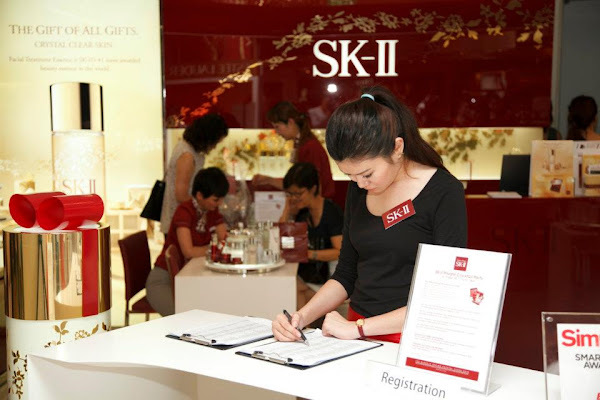 What drew you to participate in SK-II's Live the Life You Love charity auction? It is hard to imagine to learn that something so basic, clean and safe source of water, Knowing that there are that women in poorer areas still lack access to, it's something I feel compel to help raise this awareness. 5. What items did you contribute to this auction and what meanings do these items hold for you? I have donated a pair of boots for thus auction. I hope to inspire its wearer and other women as well to take that bold step out of their comfort zone and empower them to walk in confidence to help other women in need. 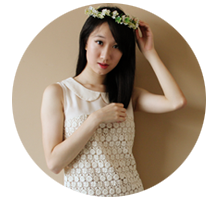 With this item, - I have also donated a charm bracelet by Quintessential. I've also donated a charm bracelet. I wore it during the filming of “It’s a Great, Great World” - my latest movie - and the press conference event as well. While this bracelet is dear to me, if it can provide the gift of life to many others who need that more than I need this bracelet, there is no reason for me to question the reason for giving it away.